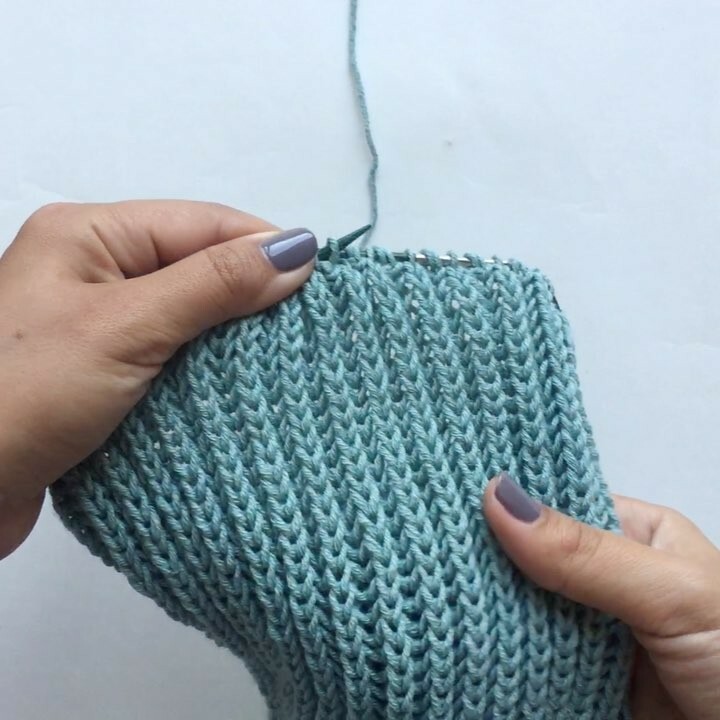 This technique is useful for making seamless items, like cowls, hats, or sleeves for a sweater. 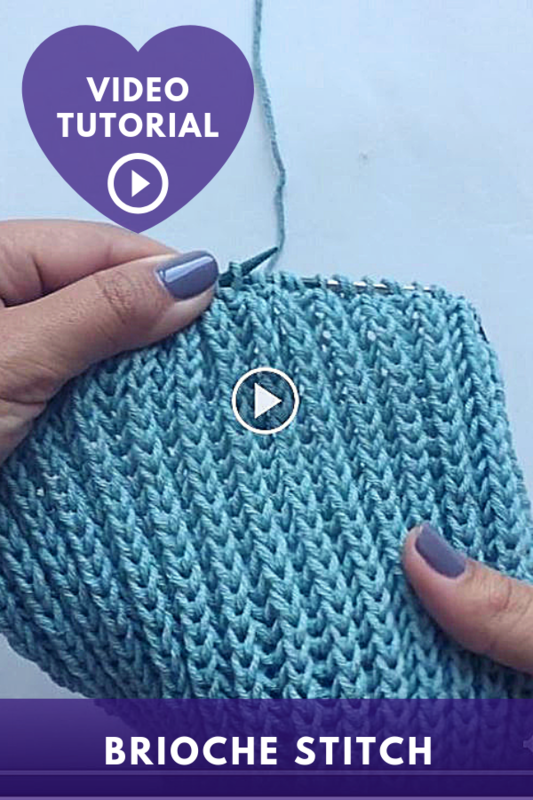 Knitting brioche in the round is just a bit more tricky than knitting flat (the version I've showed you in the previous video.) Here we are not using the same set of stitches for each row, but alternate two different combinations. This involves the same yos and bk2tog stitches you've already seen along with a new one - bp2tog. bp2tog - brioche purl 2 together - purl the stitch together with its paired yarn over. R1 (set up): (yos, k1)x until the end. R2: (bk2tog, yos)x until the end. R3: (yos, bp2tog)x until the end.